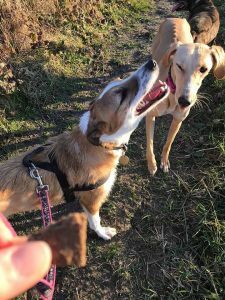 Puzzle is a 2 year old Hancock’s lurcher . She is a greyhound x bearded collie and is collie sized. 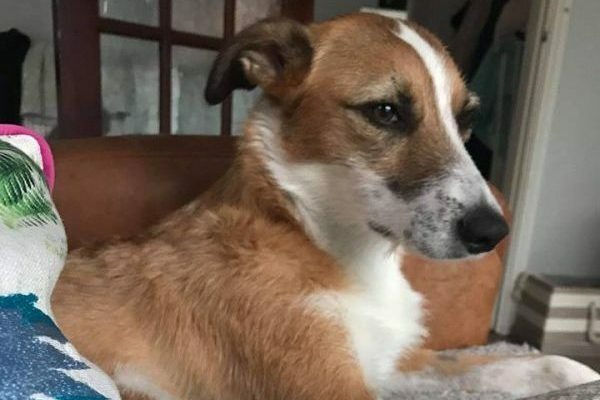 Poor Puzzle has been hit by a car and sustained some nasty injuries, including a triple pelvic fracture and a fractured, dislocated femur which was operated on successfully. 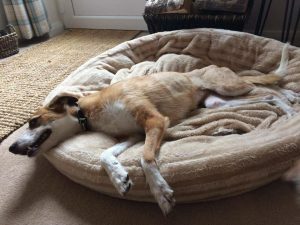 Puzzle has been put back together and is healing well , but her rehabilitation will be ongoing with support from Luna, and she will be going to hydrotherapy shortly. ‘Puzzle is one of the most gentle and loving dogs you could wish for . She literally melts when you stroke her and seems to love everyone she meets . She is intelligent and eager to learn so would do well with someone who can engage her brain . Puzzle has an eye for small furries out and about so I wouldn’t think she would live with a cat . She is very responsive so I’m sure she will train up really well . Puzzle is brilliant with children and actively seeks sitting with them for a cuddle ,so could go with Young respectful children . 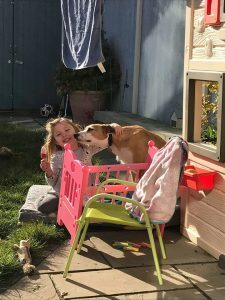 She is in a foster home with a 3 year old child and mixes well with multiple dogs there. We are looking for a home with someone who has plenty of time for her as she likes company and will need to build up to being left . She is coping well now with up to 3 hours on her own . Puzzle is house trained , travels well and could would ideally love to be a companion to other dogs . 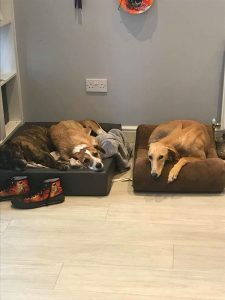 She has such a great mix of the intelligence and loyal nature of a collie but softened by the greyhound making her lower energy and restful at home . She is of course still young and as she gets fitter and recovers more we are seeing her fun and playful side emerging .